If you’re a BC Lions fan, you can’t help but feel a little jealous today. 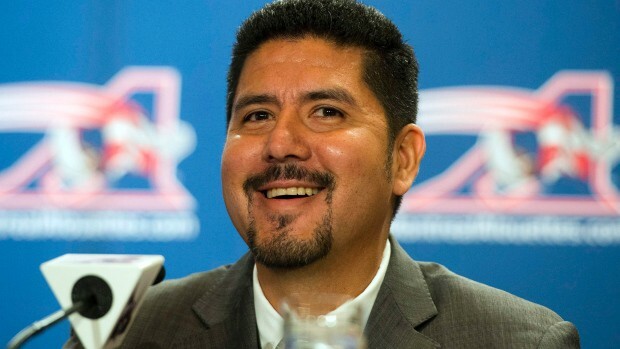 The Montreal Alouettes have announced that Anthony Calvillo, pro football’s all-time leading passer will be joining their coaching staff. It’s natural progression for one of the greatest players in their history, who took a year to step away from the game he had conquered over a 20-year CFL career. Alouettes fans got to watch their hero retire in their sweater, they got to celebrate him as an Alouette, and now they get to have him part of their day to day football operations again. This is a far different ending than Lions fans saw at the end with Geroy Simon. Simon of course didn’t retire because of injury. He went out on top like all star players hope to do. He won his third Grey Cup to end his career and played a big part in that championship game as well. Of course the sad part is, he didn’t do it in a Lions uniform. Certainly the situations were different. Simon still wanted to play a key role when he left the Lions. A role the Lions weren’t willing to offer, and certainly not at the salary Simon had commanded for many years. They had a young crop of receivers they wanted to play more, and in the end the two sides decided to part ways, with the Lions facilitating a trade to the Riders. Outside of the Grey Cup game, Simon didn’t do much to prove that the Lions were wrong in their assessment on the football side of things. But if you take what he did in the final, and the words of praise and thanks directed at him by Darian Durant after the game, they may have under estimated what he brought to the locker room. Clearly there was a fracture in the relationship between Simon and the Lions, one that was repaired somewhat by the retirement of his number and his addition to the Lions ring of honour this past season. But the Riders pounced on the opportunity to keep Simon in the organization, adding more salt to the wounds of Lions fans who want him back in BC as an ambassador if not more. Of course the financial perks of being a football player in Regina, that played a big role in winning them a Grey Cup at home, are pretty attractive as well and Simon has continued his community work in the area with coat drives and many appearances representing the Riders. The core of this team that Lions fans have been used to for so many seasons is eroding. Paris Jackson, Dante Marsh and Korey Banks are another three examples. On the other side of the coin, Brent Johnson and Angus Reid got to finish with the Lions. 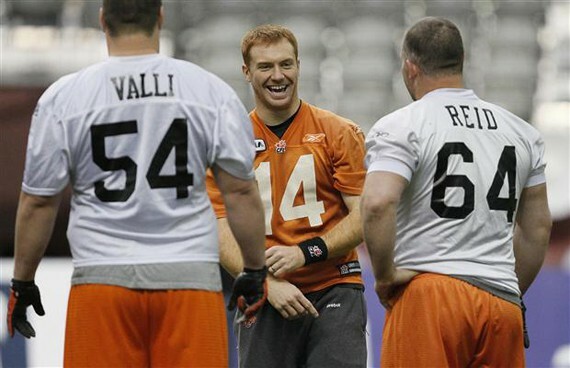 Perhaps it’s just a matter of timing and Wally Buono is known for making tough decisions with popular players. That’s probably never going to change because his job depends on winning, and he has do make decisions that he feels are best for the club not only for the current season, but down the road as well. There are signs that Simon will one day return to BC. He still lives here, as does his family. He was a VIP guest as the Lions’ Den party during Grey Cup week and of course time can heal most wounds and I think most, if not all of them have been healed. All that’s needed is the right situation, and of course the invitation to be extended. Until then, you have to feel that Als fans are pretty pleased with the way their hero’s story ended. Time will tell if Lions fans will get to feel that way in the future about Superman. From The Couch: Simon situation is delicate but Buono has been here before. 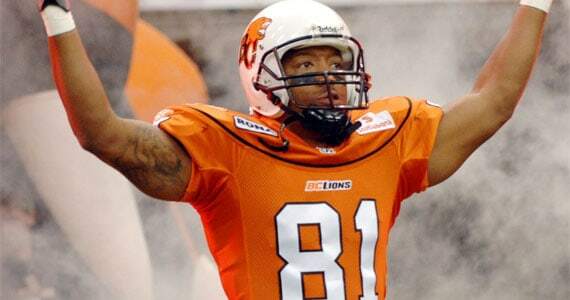 It goes without saying that every BC Lions fan would like to see a perfect ending to Geroy Simon’s career. But with news this week that Simon’s agent has asked the Lions to gauge trade interest for his client in lieu of the two sides unable to agree on a restructured contract, there is work to be done if Simon is to end his career in BC Lions orange. It would of course just be plain wrong to see Superman playing for another CFL club. He has become one of the greatest if not the greatest BC Lions of all time and GM Wally Buono understands what he means to the football fans in this province. With good young talent waiting in the wings, Buono must decide on a role for the CFL’s all-time leader in reception yardage. Simon of course suffered through a season of hamstring injuries and during his rehab the team saw good performances from the likes of Ernest Jackson, Shawn Gore, Nick Moore, Courtney Taylor and others. They also went undefeated in Simon’s absence. Assembling a CFL club is a constant puzzle that changes on a yearly basis. The salary management system (SMS) is a huge piece of that puzzle and for the better part of his career, Geroy Simon has been one of the higher paid players on the team and deservedly so. No BC Lions player has been more valuable to the franchise, not only for his play on the field but building the Lions brand and entrenching himself in the community. This is what makes Buono’s job so difficult when it comes to what to do about Simon. From the club’s perspective, the first preference is to have Simon back. From Simon’s perspective, that should happen with an elite receiver’s salary, thus the current stalemate. The club recently rewarded Travis Lulay with a new deal averaging $450,000 a year. Not an uncommon number for the elite quarterbacks in the league. They shed the salaries of Arland Bruce and Byron Parker by releasing them and they hope to get the promising Canadian Shawn Gore signed to a new deal, unless he can find a home in the NFL. But as much as this negotiation is about money it’s also about getting their young players more playing time, while keeping the team competing for a Grey Cup. Simon could definitely play a role with the receiving core, it’s just a matter of what role he would be willing to accept and what he wants to be paid. While fans get attached emotionally, it’s a trait that Buono can ill afford despite the enormity of the decision he’s facing. He’s always been able to make tough decisions in the past, and he’s usually right when it comes to assessing the talent mix on his teams. Alan Pitts, Jason Clermont, Aaron Hunt, are all players that come to mind as difficult decisions Buono had to present to fans in pursuit of making the right football decisions. Of course there has been an error or two as well. The premature demotion of Angus Reid is a perfect example and to Reid’s credit he sucked it up and proved Buono wrong, racking up back to back all-star seasons since. Geroy Simon is special and he deserves to be treated with respect and dignity and by honouring his request to gauge trade interest, I believe the Lions are doing just that. I really hope the two sides can come to some sort of agreement and every BC Lions fan gets to see him finish his career they way he should. Fans will be upset if he leaves, no doubt about it. But a new deal has to work for both sides, with the goal of making the Lions the best team they can be. 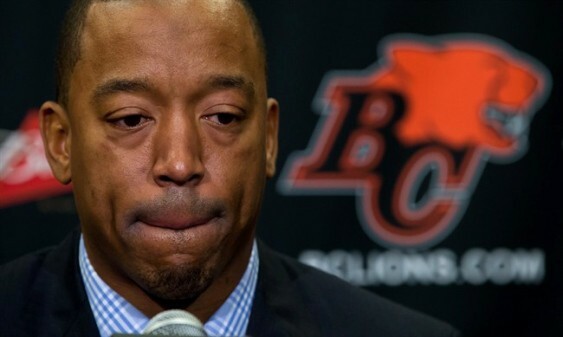 At the end of the day it’s a problem Wally Buono will resolve one way or the other and judging by his track record, the Lions will be just fine, whatever solution he arrives at and Geroy Simon will always be a BC Lion, one of the greatest of all-time. Ok this wasn’t exactly from the couch it was actually from the bar, fringe benefits of being a fan rather than an unbiased journalist. Some great CFL fans were in town from Montreal, and it was great to watch the game with them and a few others. It reminds you why you love this game and the fans that follow it. It’s been awhile since I’ve had to blog about a loss, so here it goes. Mistakes were the order of the day and the Lions were their own executioners on this day. Lulay, throwing into double coverage for a key interception, the veteran McCallum missing two field goals, and of course special teams allowing big returns again. Both defences battled hard and without those Lions mistakes the score is different. The Riders offence didn’t produce a lot, but as a team they made fewer mistakes and capitalized on the ones the Lions made. Losing this game wasn’t the worst thing in the world. The Lions last had won 14 of their last 15 heading into Regina, so a little wakeup call might do them some good. The talk of 18-0 can be thrown out the window and we can talk about 17-1. (I kid). Seriously though, sometimes a loss can refocus the troops and I expect the Lions to be hungry next week against Edmonton. In addition to the special teams issues the Lions offence has yet to reach peak efficiency this season. One drive they look fantastic, the next few they look ordinary or sub-par. Injuries to the offensive line have likely impacted the running game to some degree, and if you listened to the pregame show you would have heard that in addition to Jesse Newman having a setback with his knee, Dean Valli may have had similar bad luck this past week. Kierrie Johnson’s injury no doubt hurts, and you have to feel sorry for him after it looked like he may be on his way to a breakout year. The Lions do have some options to plug in with Ernest Jackson and Nick Moore each having good training camps and on the practice roster. There wasn’t much success for either Geroy Simon or Arland Bruce on the day and the Lions must find away to get those two more involved. The Lions appear to have dodged a bullet with the early reports that Simon dislocated a finger rather than breaking one. With a good Edmonton defence in town next week, better consistency will be needed in all areas on offence. Just throwing this out there; Coach Benevides wasn’t wearing his trademark grey hoody…discuss. Is it any coincidence that Paul McCallum has missed a few field goals and shanked a few punts this year with a new long snapper and a new field goal holder? “@Glenbuchat2: @BCLions @PaulMcCallum4 it was a blatant clip that sprung Jackson free. Should never have been a TD” If so it is what it is. Great question, too bad we’ll have to wait another 6-8 weeks to see more. @geroysimon: Finger is good to go! I have 9 others that work fine. Making adjustments to win next week. Well there you go; the silver lining in every cloud makes an appearance. I feel better already. OUR CONTEST IS NOW OVER: Thanks to all who entered on Facebook, through the blog and on Twitter. Our winner is Jenna Liesch! Rosedale on Robson Suite Hotel and BCLionsDen.ca want to send you and a guest to the BC Lions home opener on June 29th. Not only that, we want you to make a night of it and set you up with a hotel room on game night. You’ll also walk away with a bag of Lions swag and get to watch the team raise their 2011 Grey Cup Championship banner and see Geroy Simon attempt to make CFL history! Not a bad way to kick-off the 2012 season! There are three ways you can enter the contest and you can do all three to increase your chance to win. 1 Entry: Leave a caption for the photo below in the comments section of this page. 1 Entry: Enter the same caption you came up with with our Facebook app. Please make yourself familiar with the rules and contest guidelines before entering. Please make sure to give the generous sponsors of this contest, the Rosedale on Robson Suite Hotel a like on Facebook and follow them on Twitter @RosedaleRobson for more great sports and hotel promotions all year round! They also have great ticket and hotel packages for both BC Lions and Vancouver Canucks games. A winner will be randomly chosen from the total number of entries and announced the morning of Tuesday, June 26th. Here is your photo so let’s see those captions! Please keep your submissions respectful and appropriate for all ages of Lions fans. Good luck! Get ready to get your orange on! Lions set to launch their new jerseys with their fans. The BC Lions are set to launch their newly engineered Reebok jerseys on Wednesday, May 2nd at BC Place and a fan will be chosen to unveil the newest look in the team’s history. 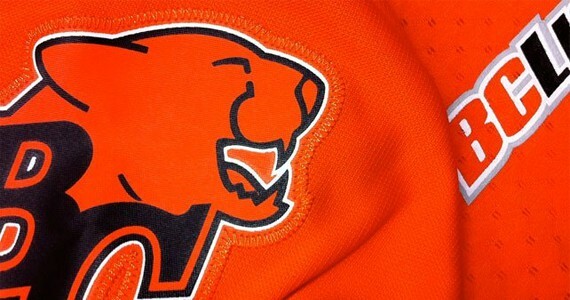 In a great social media move, the Lions ran a contest on Twitter in which one lucky follower will be chosen to unveil the new jersey along with a few high profile BC Lions. Travis Lulay, Geroy Simon, Paul McCallum and Khalif Mitchell will be on hand to model the new threads. The event will also be open to fans, who are invited to attend at Gate A off of Terry Fox Plaza at 8:00am sharp. The new jersey will also be available for purchase and the Lions players on hand will be signing autographs. Jerseys will remain on sale at Gate A until 6:00pm on Wednesday and then will be available at the team store in Surrey until May 9th, as well as the online store at BCLions.com. Not much is known about the new look but information reported so far indicate they won’t look too different from the current edition. Reebok and the league are marketing the jerseys as “re-engineered.” Both player and fan versions will see modifications. The CFL signed a five year agreement with Reebok in 2008. The company was recently replaced in the NFL by Nike, who signed a 5-year $35 million dollar deal with the league to be it’s official apparel supplier. Reebok had held the contract for the last decade. If you find yourself out in the valley, don’t forget to check out our friend Rick at Sports & Stuff in Chilliwack who will have a large stock of jerseys as well when the become available. Rick has the best selection of Lions and CFL merchandise around.